1John 5:14,15 NASB – This is the confidence which we have before Him, that, if we ask anything according to His will, He hears us. And if we know that He hears us in whatever we ask, we know that we have the requests which we have asked from Him. I just returned from the gym a little while ago. An involuntary smile formed on my face as I began to gather my tools for the evening and settle down to write. I’ve been waiting for this moment all day. Yes, friends, I finally invested in a good pair of running shoes. Now I’m not a runner by any STTREEETCH of the imagination. Simple walking shoes are definitely more my stride. 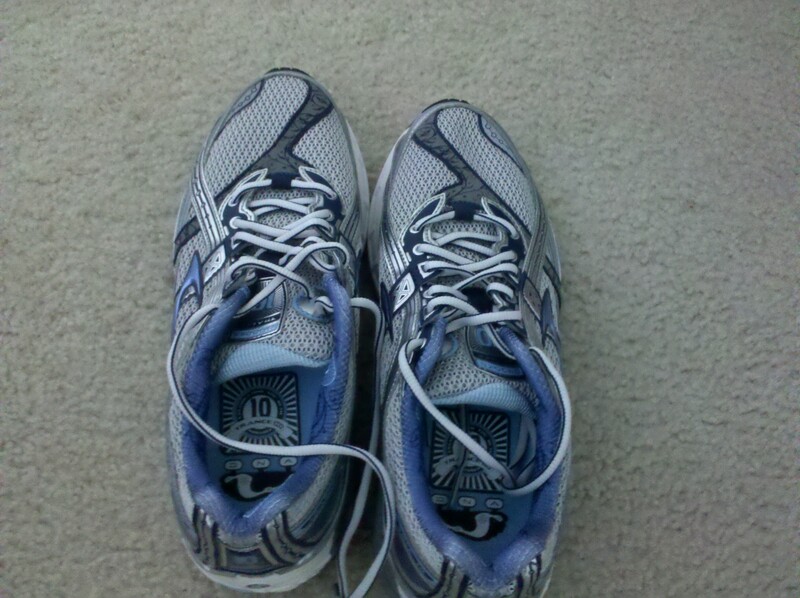 However, I’ve learned that you can wear running shoes for walking, but you can’t wear walking shoes for running. So I decided what the heck! I’m going for the running shoes. I’ll be honest. I’m sure my decision was at least partly fueled by the prick of envy I feel in my heart each time I see a lean jogger-person passing by. So I went for the running shoes, hoping to maybe pour a little water on the seed of some added pep in my step that seems to have been planted somewhere within me. So, a few weeks before my athletic shoe shopping spree, I shared with my friend a prayer I’d prayed to God. (He’s a total “gym rat”, and I am a total priss. Talk about balance! :-)) I told him that I’d prayed and asked the Lord to give me a different view of working out, to help me enjoy it more, to help me to press forward sometimes when I really don’t feel like it, and to maybe even develop a fondness for the art of exercise. This was a very sincere prayer, because I realize that I don’t get tickled over treadmills and the joy of jogging just isn’t in me. I just don’t have it naturally like the lean jogger-people I envy. I need some help, and I knew I could ask my Father for it. My prayer is being answered. I mean this week is my extra special week of the month, if you get my drift ladies, yet I’ve been in the gym or outside walking/running THREE days already this week. Now THAT, my friends, is the power of prayer. That’s the power of 1 John 5:14,15. For me to do my part to take care of my body is according to God’s will for me. I believed that if I took the time to ask, He would hear me. And if I believe that He hears me, I should not be surprised by my periodic daydreaming about what my workout activity will be after I leave the job. Ok, so I went from loathing exercise to just plain corny about it! Whatever works, Jesus! Just keep me moving!! So, what are you struggling with? Have you asked the Lord for help? If it is according to His will, it will be given to you. Have the confidence to just ask.